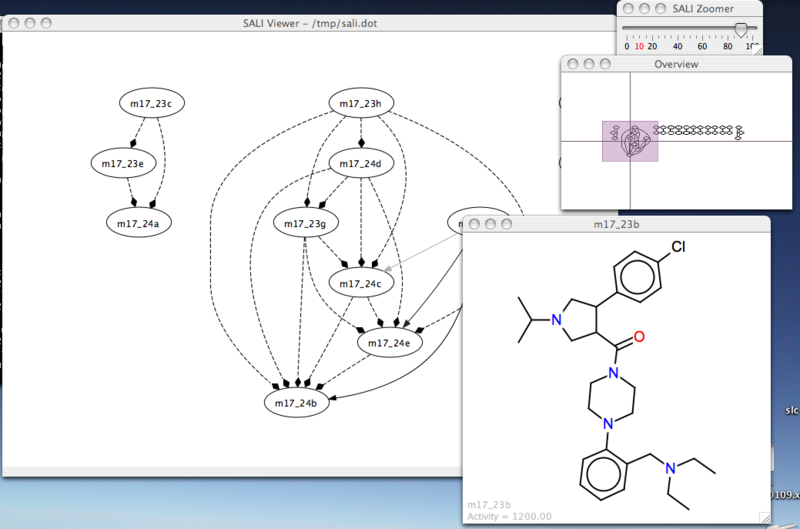 Last year, John Van Drie and I published two papers (here and here) on the Structure Activity Landscape Index, (SALI) which is a way to view SAR data as a network of compounds. Along with the paper ,I put up a simple Java application (licensed under the LGPL) to generate and explore these networks. – you only need to provide a file containing SMILES and activities. It’s based on ZGRViewer – a very slick GUI for Graphviz generated networks. I finally got around to reorganizing the code and putting it up on a GitHub repository. You can get more details of the application and the last stable version here.